Demand is like the wind. We know it exists because we see its effects, but it’s difficult to quantify. What is the nature of demand? Where does it come from? How does a brand “generate” demand and use it to drive new business. 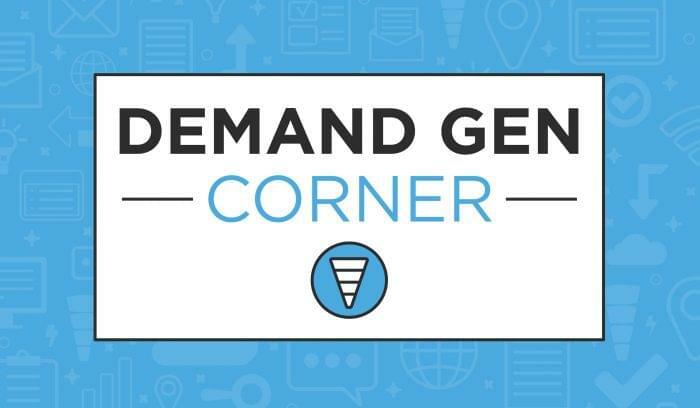 In this first installment of our new Demand Gen Corner blog series, we’ll examine some of these questions and paint a clearer picture of demand generation not just as a theory, but as a real strategy for driving B2B growth. Demand generation is the practice of creating targeted interest and need recognition for a product or service. 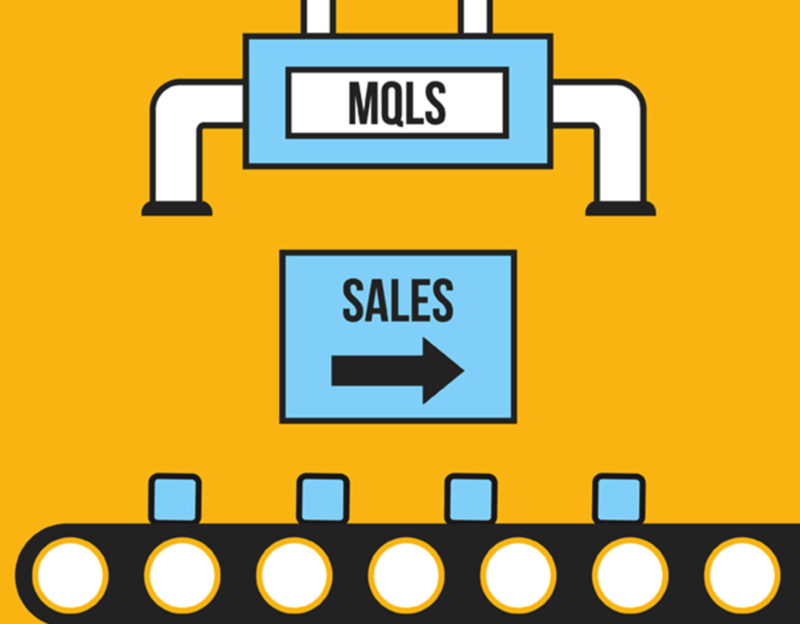 The true KPIs of any good demand gen department are, first and foremost, leads (sometimes referred to as “marketing qualified leads” or MQLs), followed by sales opportunities, closed/won customers, and revenue from those new accounts. More mature demand gen teams may even sign up for an attributed revenue goal each quarter. Sounds simple, but it’s not. Each step requires its own set of tools and processes, and very few companies have the resources to excel across the board. As you build out your demand generation strategy, it’s important to collaborate with sales, define key terms for buying stages, and decide who is responsible for engaging buyers at each juncture. According to Vantage Point Performance and the Sales Management Association, companies that master pipeline management see 28 percent higher revenue growth. Then again, the buyer’s journey looks a little different for every organization. If you need specific guidance for setting up your sales and marketing funnel, download one or both of our free e-books — How to Create Marketing Qualified Leads or Defining Your Sales Funnel Stages. Once you’ve settled on a functioning pipeline model, you need to decide which sources and channels will feed your campaigns. 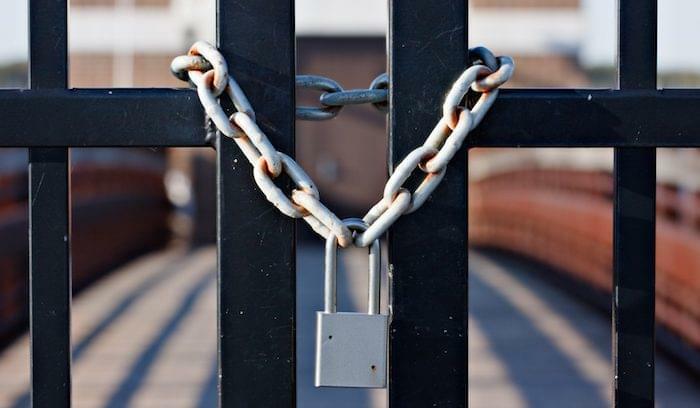 While there are widely-known benefits to multichannel marketing, it’s also important to know your limitations. Concentrate on the channels where you know you can succeed, and consider getting help for others. There are hundreds of different agencies in the B2B space that focus on specific lead avenues like paid search or telemarketing. According to MarketingAdvocate, 61 percent of enterprises and 46 percent of SMBs outsource part of their lead generation efforts. Let’s take a closer look at some of demand generation’s traditional channels. Organic search engine marketing is one of the best ways to drive relevant traffic to your website, get people familiar with your brand, and expose them to your product/service. The key here is to identify the topics and inquiries your prospects are bringing to Google, and rank as close as you can to the top of page one for those topics. You can use a tool like Moz Keyword Explorer, SEMRush, or Majestic to identify specific keyword targets that have low difficulty, high volume, and are relevant to your product/service. Then, of course, you need to create high-quality content and share it online until it gets picked up by search engines. 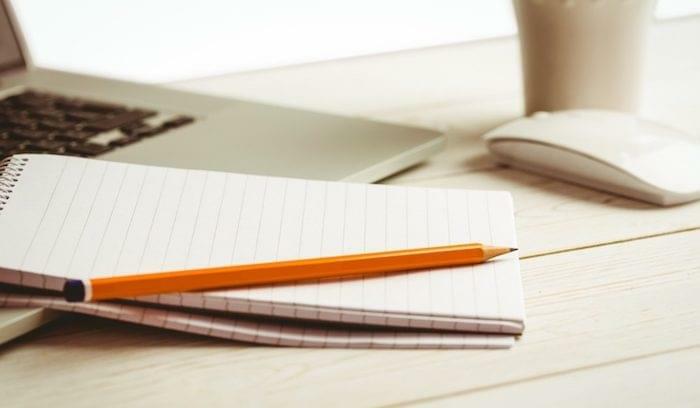 Note: we do not consider blogging to be a demand gen channel, since blogging provides the content — not the avenue — for top-of-the-funnel leads via search traffic. Keyword research in Moz. “CRM software” gets a ton of volume but will be difficult to compete for. What your brand isn’t able to accomplish through organic inbound content strategies, you can counterbalance with paid media. There are a number of different ways to approach paid media, ranging from keyword bidding in Google Adwords to native content ads (e.g. Outbrain, Taboola), paid social, and event print. The outlets you choose here will depend on where you think your audience will be most receptive, although search engine and social advertising are fairly universal. According to the Content Marketing institute’s 2017 benchmark report, social promotion (84 percent) is the most common paid media tactic used by B2B marketers, followed by search engine ads (67 percent). Most marketers use an average of three paid channels to supplement their organic strategies. You’ll find plenty of people in the industry who preach the inbound-only philosophy, but few of these people work in roles that are directly accountable for revenue. The key to succeeding with paid media is to set reasonable expectations on the front end. You can expect conversion rates to be much lower than other demand gen channels, but quick conversions aren’t the point: the point is to capture share of mind and build your brand awareness slowly, over time. 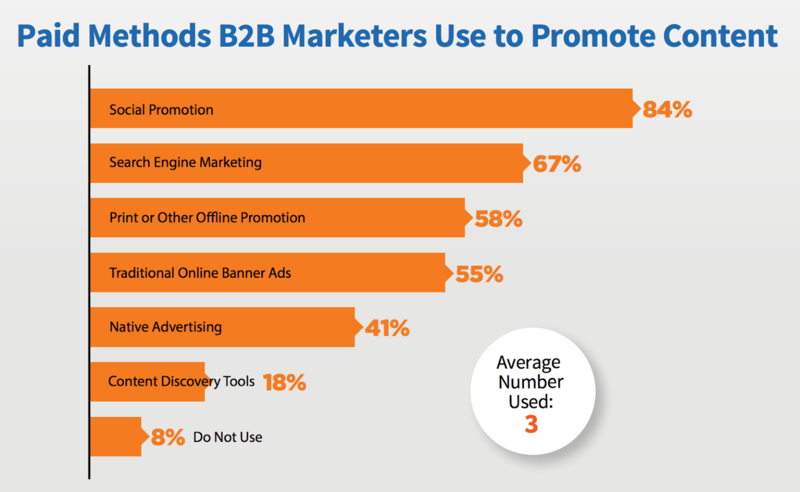 Email marketing is one of the most tried and true demand gen channels for B2B companies. Last year, 82 percent of B2B marketers made email their top priority and channel investment, according to ALF Insight. In a separate study, MarketingSherpa found that 72 percent of US adults prefer to communicate with companies via email. As a demand gen marketer, you can use email to do much more than send “batch and blast” updates about new product features. If you’re smart, you’ll develop a set of buyer personas, segment your lead lists, and deliver targeted content/offers based on how people engage with your brand. With the right sequence of email outreach, you can walk leads through the stages of the buying process and pass them to sales when they’re hot. This is called lead nurturing, and it’s fairly complicated. You’ll need a marketing automation platform, for starters. Despite the many advances of digital marketing, talking face-to-face is still an incredibly effective way to prospect. 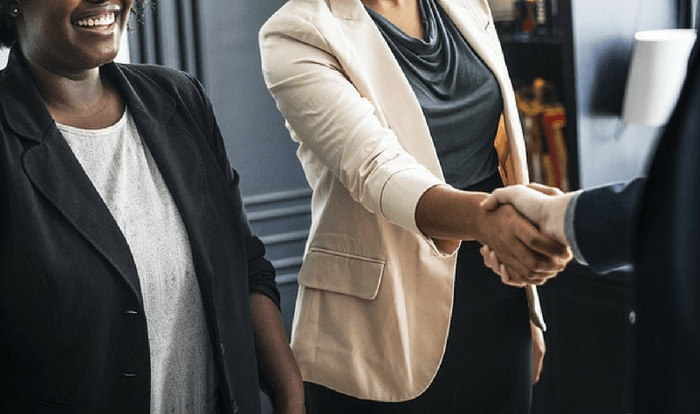 Whether you organize them yourself or just buy a booth, networking events give you an opportunity to connect with decision-makers in an active learning environment, where they are already seeking new opportunities and solutions. In 2015, B2B marketers spent $26.1 billion on events — a pretty strong indicator of their value. In 2015, B2B marketers spent $26.1 billion on events. And of course, none of these methods will succeed in the long run if you aren’t prepared to follow through. You should have postcards, email series, and call cadences ready to engage any new prospects you meet at an event. If you’re interested in learning more, Marketo provides some great material about building event-based lead gen campaigns from start to finish. Okay, so you probably haven’t heard of “teledemand” before. That’s because it’s a word we made up. Teledemand is like traditional telemarketing, but with a more specific aim, and with more strategic methods. Instead of cold-calling people with a sales pitch, teledemand is designed to engage specific kinds of people who match your targeting requirements, verify their information, and offer them something free (but valuable) to get the conversation started. Teledemand is also one of the most difficult demand gen channels to successfully manage with your own resources. To run teledemand at scale, you’ll essentially need a call center and access to millions of contact records. If that isn’t within the realm of possibility, considering outsourcing to a lead gen agency that offers content syndication or other other TOFU programs. If you want to run a demand generation program that stays healthy and productive for longer than six months, you should try to invest in every major channel — whether that means gathering your resources and hiring a couple more employees or getting help from a reputable third-party. In our next Demand Gen Corner piece, we’ll dive deep into one of the hottest B2B tactics of the past decade: account-based marketing. Stay tuned each week for new installments that provide actionable advice and strategies from industry leaders. Learn every competency a B2B firm needs in order to generate qualified leads and convert new business.